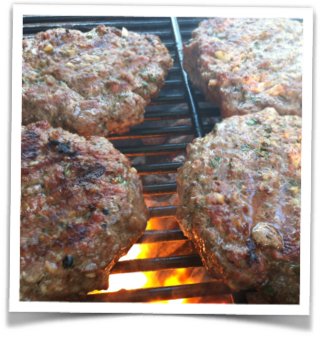 Don’t wait until summer to make these burgers! If you’re a hardy soul like me, you’re grilling in the dead of winter. But these burgers are just as tasty if you pan-sear them and finish them in the oven. In a bowl, mix the onions, the lamb, beef, mustard, parsley, mint, dill, oregano, cumin, garlic, scallions, salt and pepper. If you’re cooking indoors, heat some lard or avocado oil in an oven-proof pan. Sear the burgers well on both sides, then place the pan in the oven to finish cooking. Combine all the ingredients, except the cucumber, in a bowl. With the cuke: peel it, then finely grate it into a bowl. (If you’re using a regular cucumber and not an English cuke, scoop the seeds out of it before grating.) Add a pinch of salt and let it sit for a few minutes. Then scoop out the mashed cucumber with your hands and squeeze as much liquid out of it as you can. Add the cucumber to the bowl with the other ingredients. Mix well. Discard the cucumber liquid. 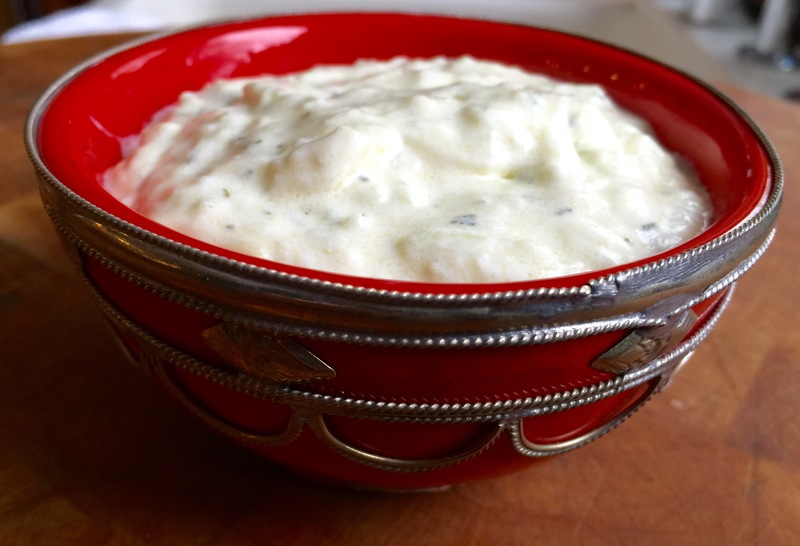 Cover and refrigerate the tzaziki. Again, if you can do it a day ahead, it’ll taste even better!